Florence R. Bauman, 94 of Rochester formerly of Kewanna, passed away peacefully at 12:05 a.m., Tuesday, November 27, 2018 at Wynnfield Crossing. Born on August 17, 1924 in Winamac, she was the daughter of the late Henry and Mary (Grindle) Braun. On June 11, 1943, she married Paul E. Bauman Sr. He preceded her in death on August 3, 2002. She was a 1942 Winamac High School graduate. During her high school years, she played the flugelhorn in the marching band. She loved to sing and play harmonica. Florence was a dedicated farm wife. She helped her husband Paul with all the chores around the farm, including field work. She was in the field at planting time, helped bale hay and straw and drove trucks to the grain elevator at harvest time. She also helped with the beef cattle and hogs. Florence always planted a huge garden to help feed her family and was well known for her abundant crop of tomatoes. She canned the bounty of food to be consumed the entire year. She raised fryer chickens and laying hens and sold eggs. Her farm raised turkeys were sought the holiday gatherings. She was a member of St. Ann Catholic Church where she served as chairman on several occasions at their fund raising fish frys and was an avid member of the Rosary Society. She was a long-time member of the Twentieth Century Home Extension Club. 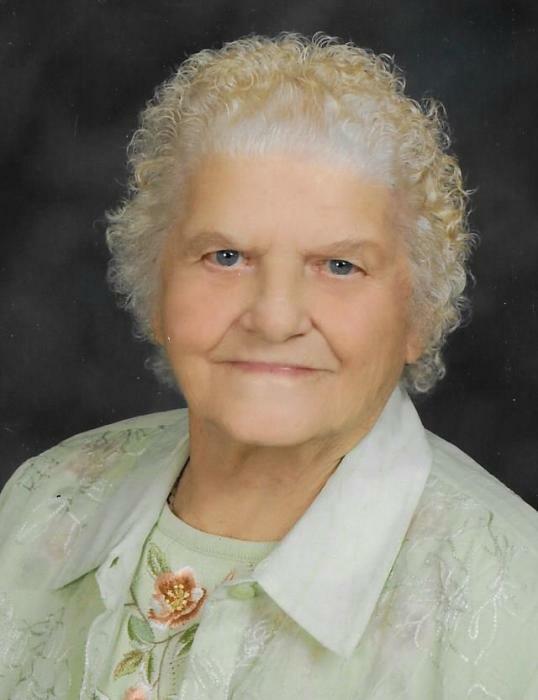 She was an avid supporter of the Caston Band Booster Club and helped with their fish fry fundraisers also. Survivors include her sons, Fred Bauman (Almeta Ann) of Rochester, Jim Bauman (Carol) of Kewanna, Cletus Bauman of Galveston and Donald Bauman (Lois Ann) of Rochester, daughters, Julia Kline (Gary) of Kewanna and Janece Warner (Bruce) of Talma, daughter in law, Vivian Bauman of Kewanna, 15 grandchildren, 17 great grandchildren and 2 great, great grandchildren. She is also preceded in death by son, Paul E. Bauman Jr., sisters, Agnes Nicholas and Barbara Ferguson and brothers Clement Braun and Herman Braun. Mass of Christian Burial will be held at 1:00 PM, Saturday, December 1, 2018 at St. Ann Catholic Church in Kewanna with Father Mike McKinney officiating. Visitation will be 4:00-7:00 PM, Friday, November 30, 2018 at Harrison-Metzger-Rans Funeral Home & Crematory, Kewanna Chapel. Burial will be at St. Peters Catholic Cemetery, Winamac. Memorial contributions may be made to Manitou Training Center and/or Grass Creek Lions Club.